The concept of “eSports” may be a foreign one to many traditional sports and entertainment fans. Many people probably don’t know that there are numerous eSports competitions with prize pools in excess of $1 million, with some prize pools reaching as high as $20 million. While the eSports industry has been growing at a tremendous rate in Asia, it is still fairly new in North America. This being said, Newzoo predicts that eSports revenue globally will exceed $1 billion in 2019. 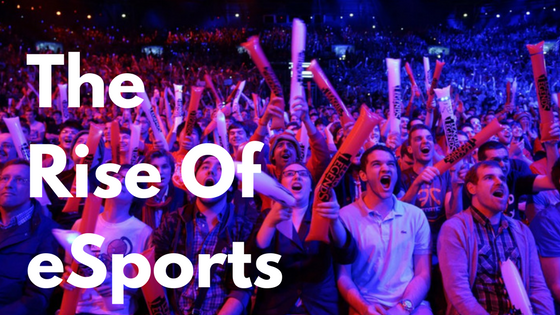 It is not just “geeks” and “gamers” that are taking an interest in eSports. Professional sports leagues, telecommunication companies, and large-scale investors are all beginning to get in on the action. Indeed, the NBA recently announced that it would be partnering with Take-Two Interactive to develop a professional eSports league centering around Take-Two’s popular NBA 2K video game franchise. English soccer team West Ham has signed its first eSports competitor and has been given his own “squad number.” In January 2017, the University of Toronto announced its first eSports scholarship. The Score, a popular sports news outlet based in Ontario, has a section of its online presence devoted to eSports news. It is only a matter of time until eSports is viewed as a viable competitor to traditional big market professional sports leagues. Some players in the Canadian entertainment space are already beginning to take notice. Cineplex recently invested $15 million into its eSports division and has begun broadcasting events in its theaters. Bell has been pursuing partnerships with eSports tournament organizers, including one of Aluvion’s clients, BEAT Gaming. “The space has changed considerably since we started doing events in 2011. When we started we had a $100 tournament and about 30 viewers. Today, we generally get a few million views across 5 or 6 different languages. Recently, we’ve seen a lot of traditional sports companies get into the space that range from NBA teams, media sites and ex professional athletes. We definitely think this is the start of larger things to come in Canada. It’ll be interesting to see the next few years as there a lot of non-endemic brands are attempting to get into the space as well”. Many of those involved in eSports began their involvement as a hobby or as a part-time side business. However, as the market for eSports in Ontario and throughout Canada continues to grow, companies and individuals are beginning to see the potential for growth. As more money enters the market, commercial arrangements in the space will become more formal and more complex and will require the same type of due diligence from a legal perspective as other sophisticated commercial arrangements. If you or someone you know needs advice on how to grow their eSports business or how to protect themselves legally, contact us today! Follow BEAT Gaming on Twitter.